Happy Monday everyone! Yes, I made it back unscathed. OK, so it wasn't exactly deep woods camping but I survived nevertheless and really looking forward to doing it again this fall, this time with less amenities. We even spotted a couple of beautiful bald eagles while rafting down the Delaware river. 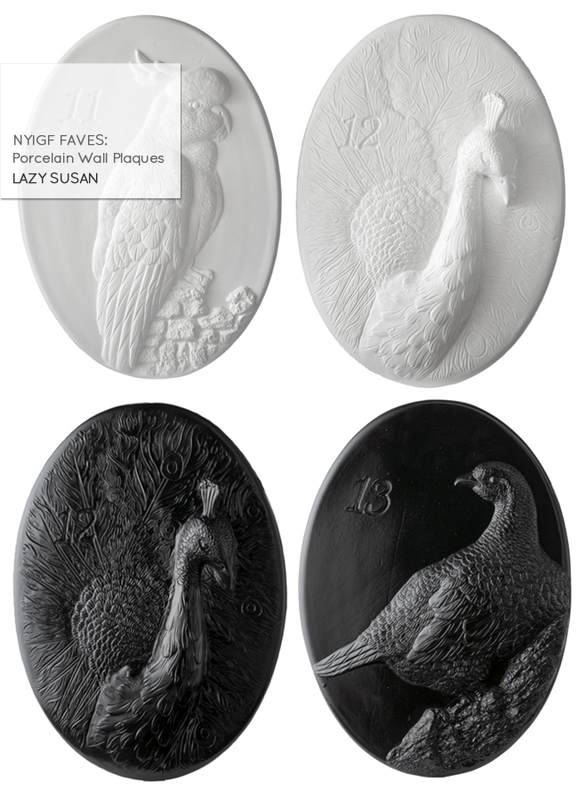 Speaking of birds, aren't these porcelain wall plaques beautiful?? The peacock in white is my favorite!! Off to the gift fair! I have a long list of must sees and can't wait to share more of my faves this week.